Our congregation is committed to glorifying God and serving the people of our community, while working to provide a warm, welcoming atmosphere to our guests. Worship focuses on bringing glory to God through traditional hymns and heartfelt preaching from the Bible. A nursery is provided for every service. We are at the intersection of Hydraulic and Roslyn Ridge Roads, about 1.5 miles west of Rt. 29. Pastor Deloach received Christ at the age of seven. After serving in the U.S. Army, he graduated from Atlantic Baptist Bible College in Chester, VA. It was there that he met his wife, Tina. After marrying, they served God as interns at Fairfax Baptist Temple in Fairfax, VA, then as missionaries to Kenya for six years. After returning from Africa, the Deloaches and their children, Samuel and Preston, returned to Fredericksburg for one year where Pastor Deloach served on the Ministerial staff of Faith Baptist Church. 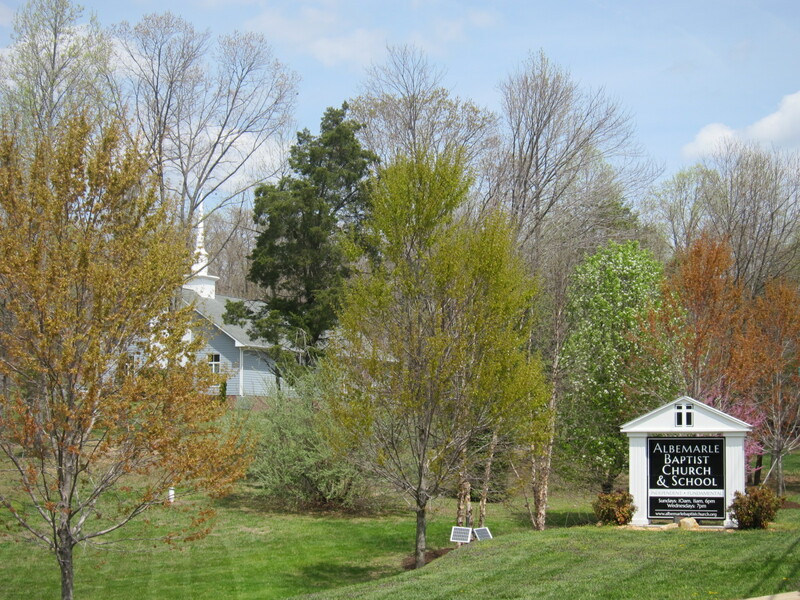 In the summer of 1998, God led them to Charlottesville to found the Albemarle Baptist Church. If you have any questions about the church, our beliefs, or what it means to be a born-again Christian, please contact Pastor Deloach at 434-964-9225. 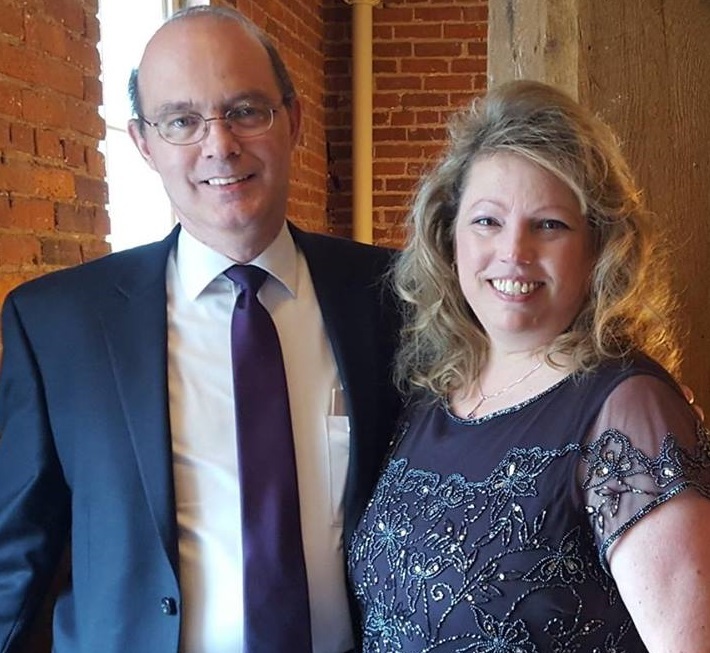 Pastor and Mrs. Deloach look forward to welcoming you to this warm, loving congregation of believers! We believe in the Holy Scripture: accepting fully the writings of the Old and New Testaments as the inerrant Word of God, verbally inspired in all parts and therefore altogether sufficient as our only infallible and authoritative rule of faith and practice. We use only the King James Version for our preaching and teaching. Psalm 119:160; Proverbs 30:5a; II Timothy 3:16, 17; II Peter 1:19-21. We believe in the one true God: who is an intelligent, sovereign, spiritual and personal Being; perfect, infinite, and eternal in His being, holiness and love, wisdom and power; absolutely separate from and above the world as its Creator, yet everywhere present in the world as the Upholder of all things. He is revealed to us as Father, Son, and Holy Spirit, three distinct persons but without division of nature, essence or being, and each having a distinct ministry in God's relation to His creation and people. Genesis 1:1; Exodus 15:11; Psalm 83:18; 139:7-9; Matthew 28:19; John 10:30; 15:26. We believe all men are by nature and choice sinful and lost: that man was the direct creation of God, made in His image and likeness; that by personal disobedience to the revealed will of God, man became a sinful creature, the father of a fallen race which is universally sinful in both nature and practice, thus alienated from the life and family of God, under the righteous judgment and wrath of God, and has within himself no possible means of salvation. Genesis 1:27; 3:6; Psalm 51:5; Romans 3:23; 5:12,19; Galatians 3:11. We believe in salvation by grace through faith: that salvation is the free gift of God, neither merited nor secured in part or in whole by any virtue or work of man, but received only by personal faith in the Lord Jesus Christ, in whom all true believers have as a present possession the gift of eternal life, a perfect righteousness, sonship in the family of God, deliverance and security from all condemnation, every spiritual resource needed for life and godliness, and the divine guarantee that they shall never perish; that this salvation affects the whole man; that apart from Christ there is no possible salvation. Ephesians 2:8, 9; Titus 3:5; John 1:12; 3:14; 10:28, 29; Romans 8:1; Philippians 1:6. We believe in righteous living and godly works: not as a means of salvation in any sense, but as its proper evidence and fruit; and therefore as Christians we should obey the Word of our Lord, seek the things which are above, walk as He walked, accept as our solemn responsibility the duty and privileges of bearing the gospel to a lost world; remembering that a victorious and fruitful Christian life is possible only for those who in gratitude for the infinite and undeserved mercies of God have presented themselves wholly to Christ. Ephesians 2:10; Romans 12:1, 2; Philippians 2:16. We believe in the existence of Satan: who originally was created a holy and perfect being, but through pride and wicked ambition rebelled against God, thus becoming utterly depraved in character, the great adversary of God and His people, the leader of all other evil angels and wicked spirits, the deceiver and god of this present world: that his powers are vast, but strictly limited by the permissive will of God who overrules all his wicked devices for good; that he was defeated and judged at the cross, and therefore his final doom is certain; that we are able to resist and overcome him only in the armor of God, by the blood of the Lamb and through the power of the Holy Spirit. 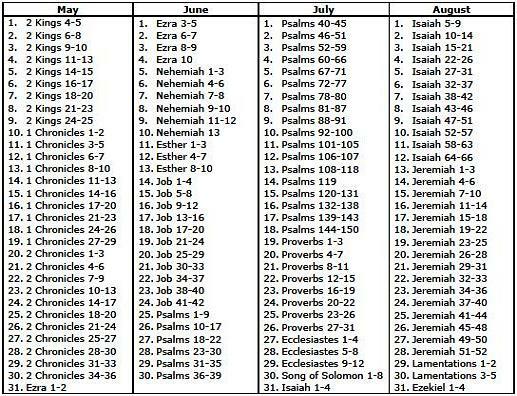 Isaiah 14:12-15; Ephesians 6:12; I Peter 5:8; I John 3:8; Revelation 12:9-11; 20:10. We believe in the second coming of Christ: that His coming in the air to rapture His Church, which is our blessed Hope, is always imminent; that when He has first by resurrection of the dead and translation of the living removed from the earth His waiting Church, He will then pour out the righteous judgments of God upon the unbelieving world and afterwards descend with His Church and establish His glorious and literal kingdom over all the nations for a thousand years. I Thessalonians 4:13-18; James 5:8; Hebrews 10:37; Jude 14, 15; Revelation 19:11-16; 20:4-7. We believe in the priesthood of all believers: that Christ is our Great High Priest and through Him every born again person has direct access into God's presence without the need of a human priest; that the believer has the right and responsibility to personally study and interpret the Scriptures guided by the Holy Spirit. John 14:6; Hebrews 4:16; II Timothy 2:15; I Peter 2:1, 5, 9. We believe in the institution of the home as defined by Scripture: that it was divinely established in the beginning as the union by marriage of a male and female and is the basic unit of society; that each family member, husband, wife, or child, has distinct duties and responsibilities; that it is the responsibility of parents to train up children in the nurture and admonition of the Lord and to provide them godly instruction through Christian example and formal education. 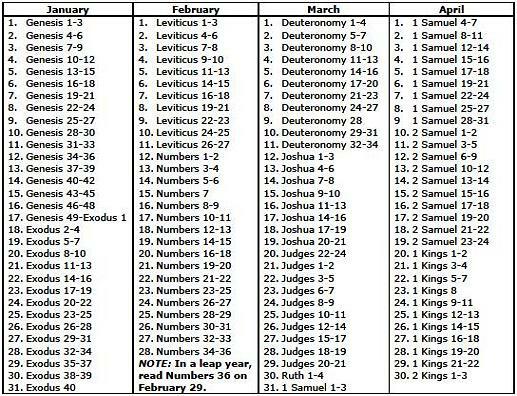 Genesis 2:18-25; 3:16; 18:19; Deuteronomy 6:4-9; 32:46; Psalm 78:5, 6; 127:1-5; Proverbs 3:12; 13:24; 22:6; Isaiah 28:9,10; Matthew 19:3-9; Ephesians 5:21-33; 6:1-4; Colossians 3:18-21. We believe in the importance of the local church: that all believers should assemble and identify themselves in local churches; that a New Testament church is a local assembly of born again baptized believers united in organization to practice New Testament ordinances, to meet together for worship, prayer, fellowship, teaching and a united testimony, and to actively engage in carrying out the Great Commission. Acts 2:41, 42; I Corinthians 11:2; Matthew 28:19, 20. We believe in the independence and autonomy of the local church: that each New Testament church is free to govern itself without ecclesiastical interference, and should cooperate with other New Testament churches as the Holy Spirit leads; that it is responsible to follow the pattern of the New Testament church and is directly accountable to God. Matthew 18:17; Acts 6:1-5; 13:1-3; 15:22, 23. We believe the ordinances given to the local church are two, baptism and the Lord's supper: that baptism is by immersion of believers, thus portraying the death, burial, and the resurrection of Jesus Christ; that the Lord's Supper is the partaking of the bread and cup by the believer as a continuing memorial of the broken body and shed blood of Christ. 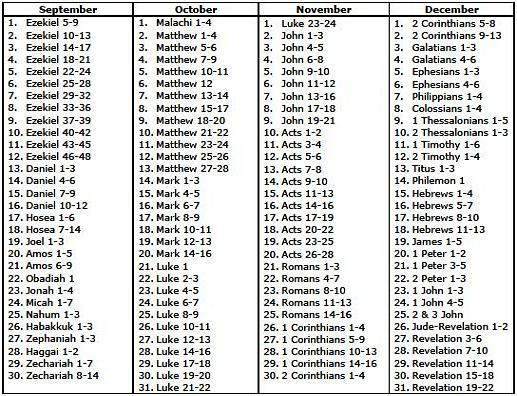 Matthew 28:19, 20; Acts 2:41; 8:38, 39; Matthew 26:26-30; I Corinthians 11:23-34. ALL ARE SINNERS. The Bible says, "For all have sinned and come short of the glory of God." (Romans 3:23). There are no perfect people. The Bible also tells us, "For there is not a just man upon earth, that doeth good and sinneth not." (Ecclesiastes 7:20). ALL ARE UNDER THE PENALTY OF SIN. "For the wages of sin is death..." (Romans 6:23a). This death is separation from God in hell -- forever. Because we are all sinners, we have all earned the wages of our sin. If you need spiritual help, or if you have accepted Christ as your Savior and want to share that news with us, please contact Pastor Deloach at 434-964-9225. May God bless you! 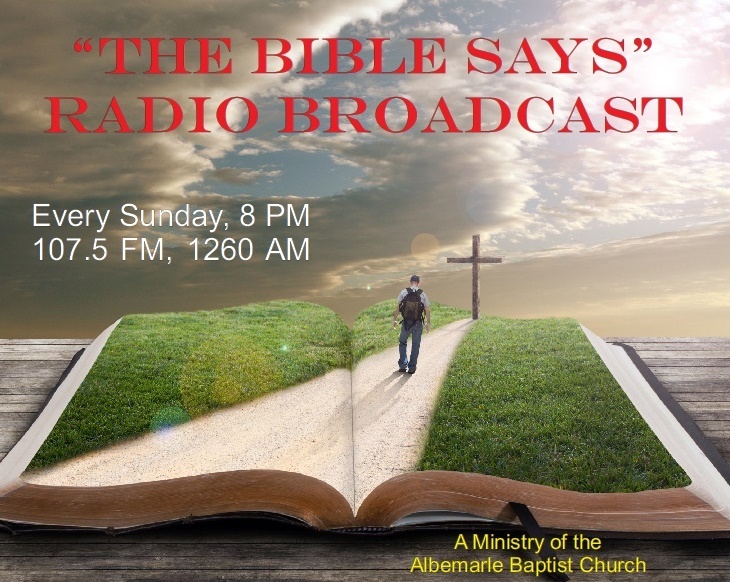 To listen online, click "Listen." To download an mp3 audio file, right click on "Listen" and choose the appropriate save option. "The Faith and Failures of Samson"
"Four Reasons Why You Should Listen to Your Preacher"
"He Must Increase in Our Zeal for Him"
"I'm Not Crazy, I'm a Christian"
"How to Safegaurd Your Church"
"What Makes a Noble Church"
"By Faith Noah Saved His Family"
Welcome to the "ABC Ladies" fellowship group! Our intent is to provide the women of Albemarle Baptist Church the chance to grow closer to each other while growing closer to God. Our primary activities are monthly meetings, special ministry projects and an annual ladies' conference. Through these, we strive to broaden our Biblical knowledge, then to practice what we learn through prayer, support and community outreach.